ESTONIA: Regional trade body WindEurope has signed a joint declaration with the wind association in Estonia, calling on the government to promote offshore wind in the Baltic Sea. Wind associations in Denmark, Finland, Germany, Latvia, Lithuania, Poland and Sweden have all called on their governments to back offshore wind and to work collaboratively to support the industry. "The Baltic Sea is a new and promising market for offshore wind. The basin offers extremely favourable climate and logistical conditions, such as strong and stable winds, low waves, shallow waters and close distances to shore," WindEurope said. "According to our 2030 scenarios report, the Baltic Sea will represent the second-largest basin for offshore wind, with potentially 9GW installed by 2030. "A first step is to ensure stable and long-term national plans for offshore wind in order to create an attractive market for project developers and investors," the association added. In early August, local Estonian developer Nelja Energia signed a cooperation agreement with the municipal Hiiu government to establish a 1.1GW offshore wind project, which could become the country's first. 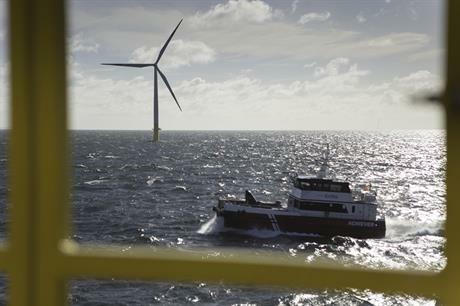 For Germany, a lot of focus is on development in the North Sea, but in its latest offshore wind tender rounds, seeking 3.1GW of offshore wind capacity, at least 500MW has been reserved for Baltic Sea sites. And in April, developer Polenergia obtained environmental permits for its 600MW Baltyk Srodkowy 2 Baltic Sea project, following the 600MW Baltyk Srodkowy 3, which has also secured consent.